Eco-friendly, green design house on private country lane. Spacious living areas w/ expansive windows and doors for indoor/outdoor communion w/ nature. Oak floors, newer kitchen w/ granite counters, stainless appliances. Air purification & smart water system, recycled grey water irrigates flowering fruit and nut trees in quiet back yard. 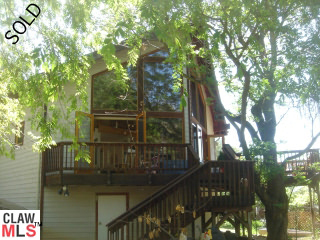 Wraparound deck, spa tub, bonus level w/over 800sf. For nature lovers who appreciate smart, sustainable architectural finishes. Stroll to State Park. $3,850.